Do you want to buy it?It is the latest version with the number below the text.I think the medal is Ok. It would be good the buy this item with the documents if you have extra money. 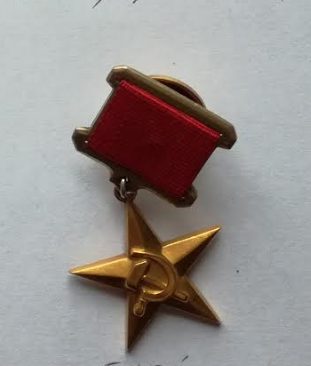 Im looking to buy this Hero of socialist labour and was wondering if people thought it was genuine? 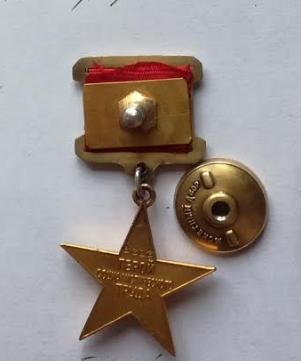 It is impossible to jugde this Medal of the Hero of Socialist Labour from these photos.At least the plate in the hanger is not correct.Also we need a good view at the numbers in the reverse.Is the star from gold?